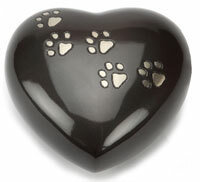 Chelsea Design 1 pet ashes bracelet is a beautiful way to keep token ashes of your beloved pet with you. 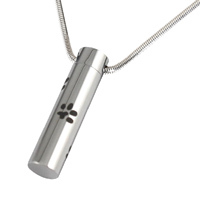 Pet cremation jewellery for a very small pinch of a beloved dog's ashes in the neck of the charm. 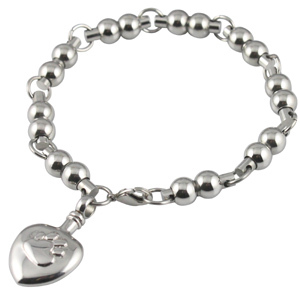 This keepsake bracelet with ashes urn charm is made of high quality 316L stainless steel. 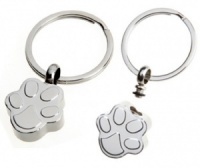 The charm is embossed with a paw print design and is the perfect way to discreetly keep the ashes of a loved pet close to you. 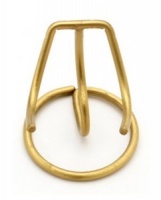 Capacity: token amount of keepsake ashes. 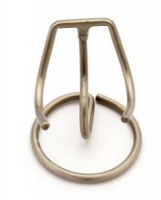 This stunning piece of pet memorial jewellery comes complete with a funnel, sealant and box.